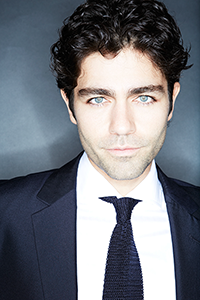 Join ENTOURAGE star Adrian Grenier, PFLAG National and Jenn-Air for an evening of gourmet seasonal bites and amazing cocktails courtesy of Tito's Handmade Vodka. Enjoy the view from a fabulous terrace overlooking New York City, and bid on exciting silent auction items perfect for food and wine lovers. Tickets are still available. Purchase your ticket now. Now in its fourth year, HOT! benefits PFLAG National, celebrating a season, a culinary theme, a celebrity ally and a cool attitude. Guests enjoy deliciously prepared hors d’oeuvres, accompanied by a delectable array of refreshing summer cocktails and wines. The event has attracted a wide range of guests, including: celebrity chef Anne Burrell, Bravo TV personality and author Andy Cohen, and celebrity pastry chef Jacques Torres. Adrian Grenier is an actor, filmmaker, social advocate and musician born in Albuquerque, New Mexico and raised in New York City. He is best known for playing the iconic role of A-list movie star ‘Vincent Chase’ in the HBO smash hit ENTOURAGE, the comedy-drama about a young actor and his childhood friends from Queens navigating the Hollywood lifestyle. ENTOURAGE premiered in 2004, ran for eight seasons, and was syndicated internationally in 21 markets. Adrian reprised his role along with the entire cast in the Warner Bros’ film version of ENTOURAGE, directed by series creator Doug Ellin. Adrian will also lend his voice as ‘Captain Joe’ to Disney Jr.’s new cartoon series “Miles from Tomorrowland” — a sci-fi show that incorporates space and science facts with a little help from consultants at NASA. Upcoming for Adrian, he will appear alongside Bruce Willis in the upcoming thriller MARAUDERS. TRASH FIRE, a dark comedy from Richard J Bates. In addition to Adrian’s work on ENTOURAGE, Adrian has appeared in many popular films including THE DEVIL WEARS PRADA (2006) opposite Meryl Streep and Anne Hathaway which grossed over $324 million worldwide, and Twentieth Century Fox’s DRIVE ME CRAZY (1999). His other film credits include the Woody Allen films CELEBRITY (1998) and ANYTHING ELSE (2003), GOODBYE WORLD (2013), CECIL B. DEMENTED (2000), and THE ADVENTURES OF SEBASTIAN COLE (1998). Adrian made his directorial and producing debut with his documentary SHOT IN THE DARK (2002), chronicling his years-long search for his father, which debuted on HBO in 2007. Adrian also directed, wrote, and produced the critically acclaimed documentary TEENAGE PAPARAZZO (2010), a compelling piece of work examining the relationship between celebrity and society. TEENAGE PAPARAZZO first premiered at the Sundance Film Festival and was later shown on HBO. Adrian’s other directorial/producing credits include HOW TO MAKE MONEY SELLING DRUGS (2012, Tribeca Films) and DON’T QUIT YOUR DAYDREAM (2010), as well as a variety of shorts. As founder of RECKLESS PRODUCTIONS, he has served as director, writer and producer of documentaries. Adrian is also an avid and talented musician, and the founder of WRECKROOM RECORDS, which is a music incubator for emerging artists. Adrian is also a passionate environmentalist, which led to his creation of the green lifestyle site SHFT.COM, a content & asset development, distribution and e-commerce hub designed to convey a more sustainable approach to the way people live through film, design, art and food. Adrian is also behind SHFT MOBILE KITCHEN CLASSROOM, a nonprofit organization that seeks to provide high school students in NYC with opportunities to engage in experiential lessons around food, health, and sustainability. Addtionally, Adrian is on the Board of Directors of REACT TO FILM, a nonprofit that leverages the best documentary filmmaking to promote social responsibility and spark civic engagement. Most recently, Adrian’s latest eco-focused creative pursuit comes in the form of a search for ’52: THE LONELY WHALE’, a campaign seeking to raise awareness for ocean noise pollution. Adrian was also recently named Dell’s first-ever Social Good Advocate, in which he will collaborate with Dell to promote healthier, more sustainable choices and actions through digital storytelling and advocacy. PFLAG National promotes our event sponsors and partners in a variety of markets to a wide span of audiences. Whether targeting potential corporate clients or general consumers, our event sponsors reach their target markets! To learn more about our sponsorships, please contact Elijah Perry, Corporate Development Manager, at eperry@pflag.org or (202) 684-9891.